The website makes it easy to create professional-looking newsletters using templates that can be used to publish and provide information to members. 2. Click the red Administration icon and select Create newsletter. 3. In the Title textbox, type the name of the newsletter. 4. 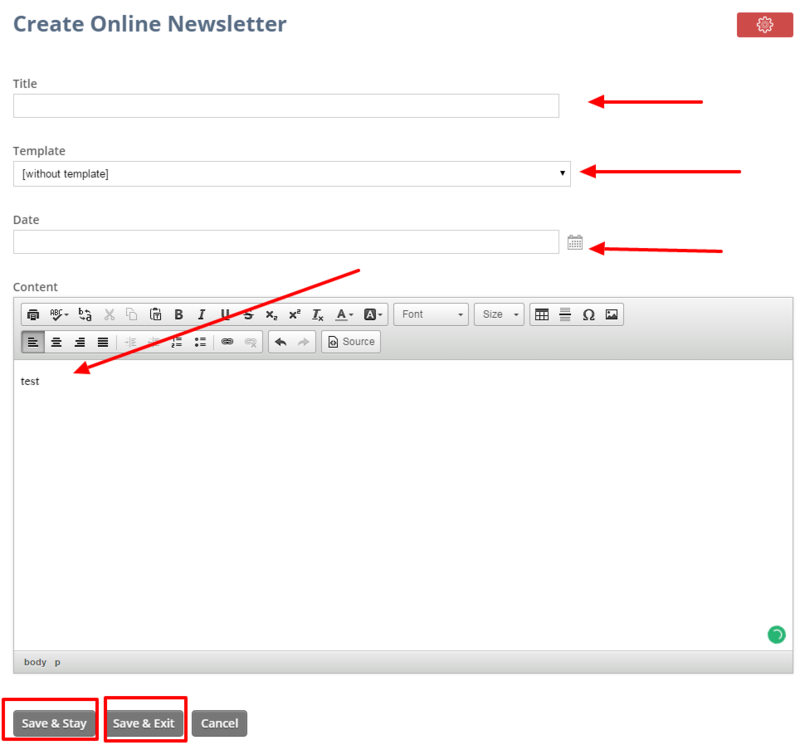 Select the template that you would like for the newsletter by clicking on the arrows to the right of the Template and then clicking on the desired template from the drop-down menu. 5. To select a date, click the calendar icon to the right of the Date textbox. 6. Create a newsletter in the Content textbox. If you chose a template, it will show in the box. You can choose from any options in the Toolbox to further enhance your newsletter. 7. Click the Save & Stay button to save your newsletter and stay in the Create Online Newsletter page. It is always a good habit to save your work periodically. 8. Click the Save & Exit button to save your newsletter and opt out of the Create Online Newsletter page.